Hardcover - 160 pages. - The Short C Class Empire flying boats were designed in 1934 to implement the Empire Air Mail Scheme, carrying un-surcharged letter mail throughout the British Empire and Dominions between the terminals at Southampton, Durban and Sydney - later continuing to Auckland, New Zealand. Some of the payload was also available for small numbers of passengers and freight. Short Brothers built forty-two - nearly forty-three - Empire flying boats at their works on the river Medway at Rochester in Kent. The 43rd was nearly three-quarters complete when it was scrapped. Sixteen of the original 42 Empires survived the war, to be broken up for scrap. The very last Empire 'boat remained as a landlocked exhibit in Auckland until it, too, was hauled off for scrapping sometime in 1954. Joint publication with British Airways Heritage Collection. 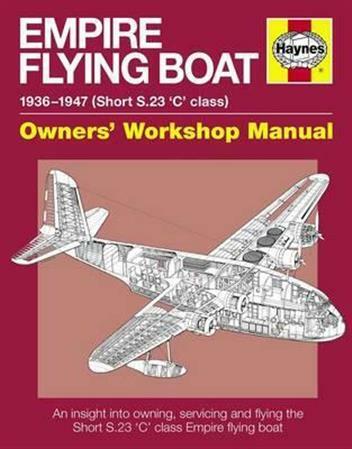 Unique insights into the design, operation and maintenance of a classic flying boat design of the 1930s. Contains many rarely seen photographs and technical illustrations from the British Airways Heritage Collection. Expert author.